Welcome to another Tip Tuesday. On this week’s Tip Tuesday, I will be sharing with you another DIY. I have been into the DIY kick lately, and have been looking through the internet and also Pinterest on some of the beauty “Do It Yourself” projects that I could try out at home. One of the DIYs that I came across was really interesting and I thought I would share it with you today. I got really excited and intrigued when I saw this on Pinterest, and did a couple more research on this DIY Teeth Whitening. I used to use the Crest Whitening Strips to whiten my teeth, and I realized that it starts getting a little too expensive for a box of 10 or how ever many there is. And going to the dentist to get it professionally done is an absolutely no go, unless I don’t mind spending hundreds of dollars for a session. No, thank you! Even the over the counter stuff are pretty pricely too. This is one of the many ways to whiten your teeth at home without leaving a hole in your pocket, and all you need is hydrogen peroxide, and a couple of other ingredients. Hydrogen peroxide is an amazing home cure remedy that treats numerous health ailments. It helps to eliminate infections, reduces pain, detoxes the body and serves as a variety of purposes. Hydrogen peroxide is made out of oxygen and water to form a germicidal liquid. When purchasing hydrogen peroxide at the drugstore, be sure to look for 3% solution. Anything higher is not safe to use in your mouth. Using hydrogen peroxide as mouth wash.
Brush your teeth with floride toothpaste. After rinsing your mouth, use a cap size amount (yes, the white cap on the bottle) and swish it around your mouth. Don’t freak out when you see foam forming because, when hydrogen peroxide comes in contact with your mouth, it will start a chemical reaction where it starts to foam. Spit it out and rinse your mouth thoroughly with water. This method is safe to do everyday. CAUTION: DO NOT swallow any peroxide. Using hydrogen peroxide and baking soda. Pour 2 teaspoon of hydrogen peroxide to 3 teaspoon of baking soda to form a paste. You can play around with the quantities depending on how you like the consistency of the paste to be. Add toothpaste to the paste for a fresh flavor. 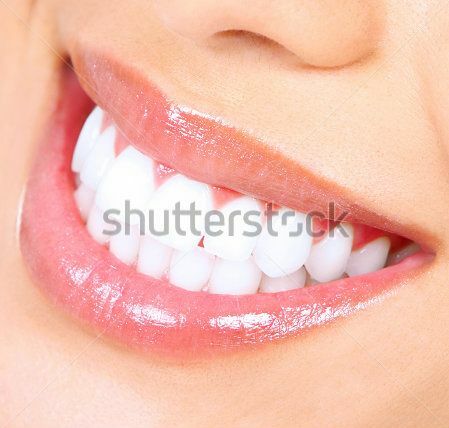 Brush your teeth with the paste for about 2 minutes and then rinse off. I recommend to use this method once every week, because the baking soda can be harsh on the teeth enamel if use everyday.